The Woodcutters are always happy to assist the Friends of Poets’ Walk. We help maintain public safety along the paths of Poets’ Walk by responding to reports of fallen or dangerous tree branches. 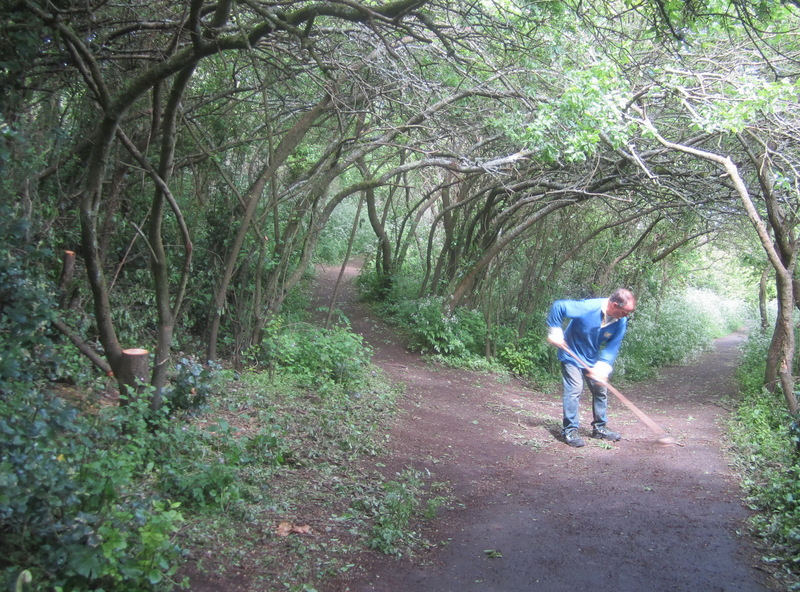 The recent gales and heavy rain in May last year brought down wild damson trunks and branches across the path (photo right – a final sweep up). 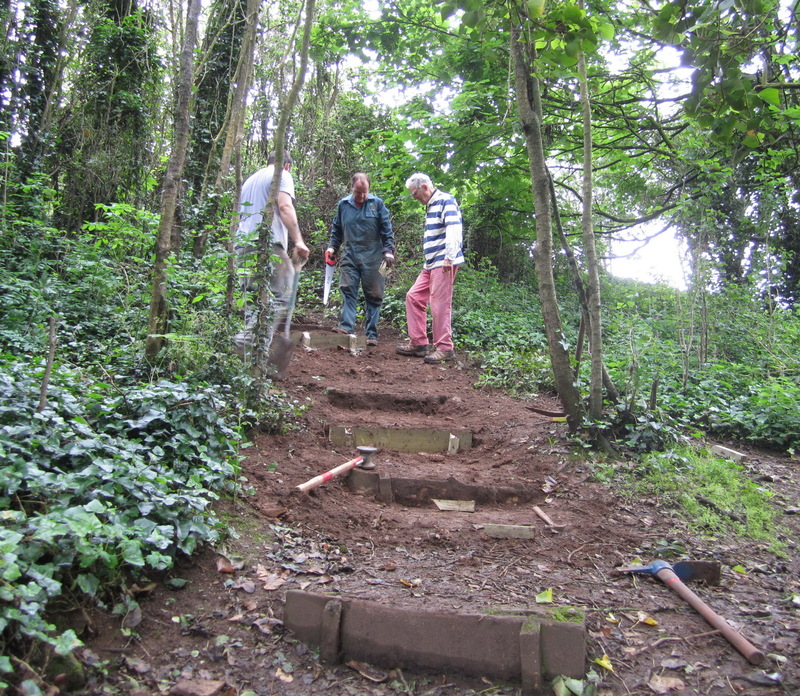 One project on Poets’ Walk, started in November 2014, has been the coppicing of young sycamore trees to re-create a thicket habitat on the west facing slope of Church Hill. Hawthorn and elder will be left to provide food and shelter for birds and other wildlife, and low scrub species will also be allowed to develop. The view from the top of Church Hill will be greatly improved. We help manage the woodland behind the Salthouse Pub by removing sycamore and Holm oak saplings as well as nettles and brambles near the paths. 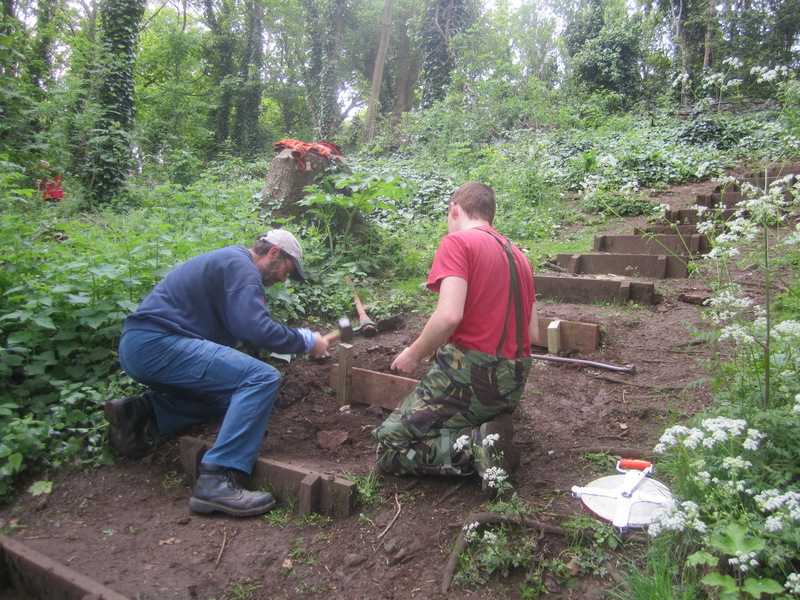 We maintain the woodland steps in Salthouse Wood as necessary, replacing wooden risers when rotten (photo right). 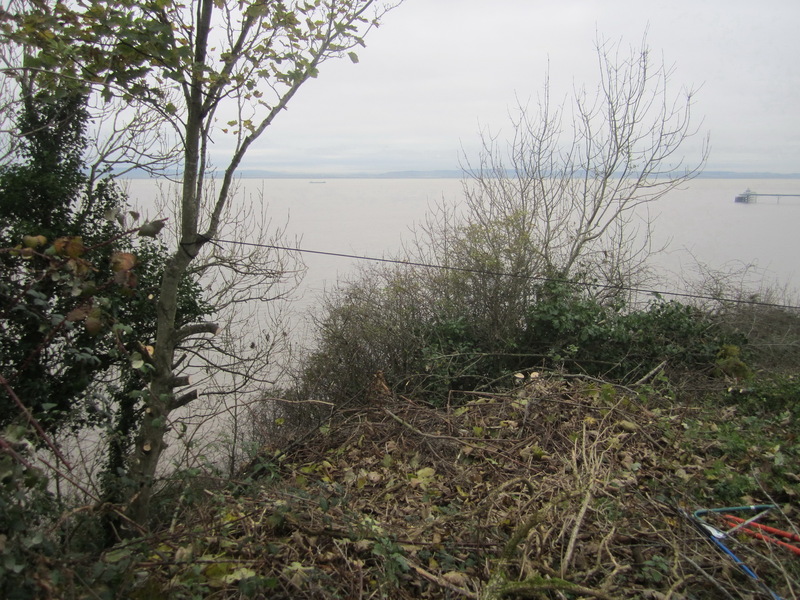 November 2013 saw the felling by hand of 2 sycamores, as well as a general clear up, at the viewpoint above the Church Hill zigzag path. This has opened up the view across the channel to Wales (photo left). 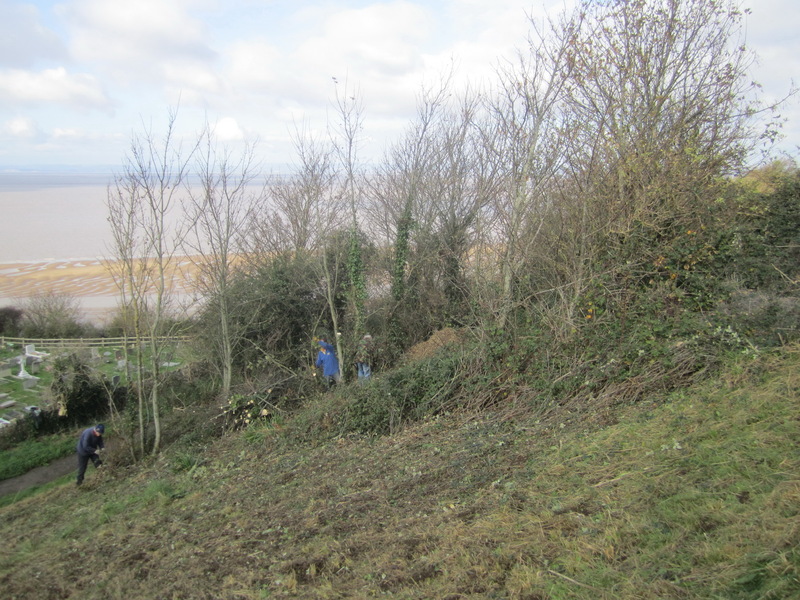 In October 2013 we cleared brambles and other scrub from along St Andrew’s churchyard wooden fence above the coast path, to restore views over the channel and to enable light to reach native flowering plants on the rockface below (photo right). Members of the Glebe Community Project from St Andrew’s assisted by burning the brash on their bonfire. 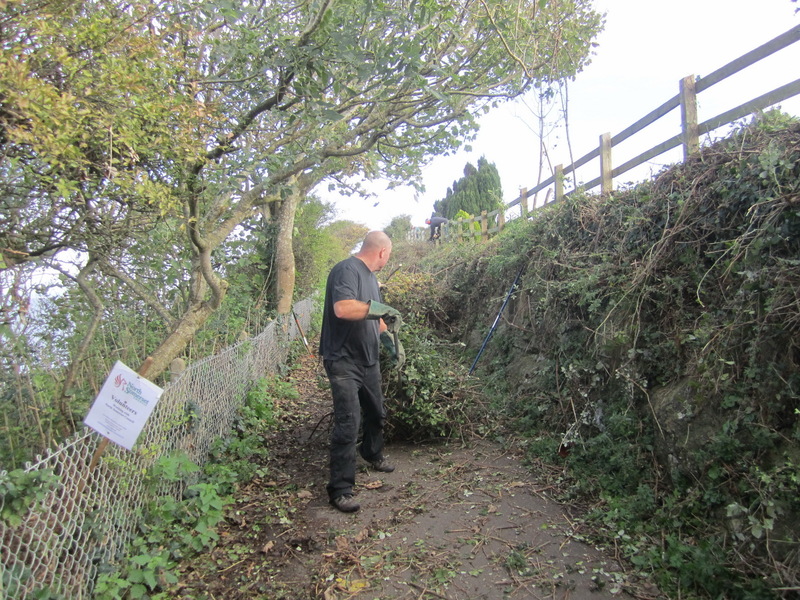 We also assisted with the clearing of scrub trees and brambles beside St Andrew’s Church green gate. 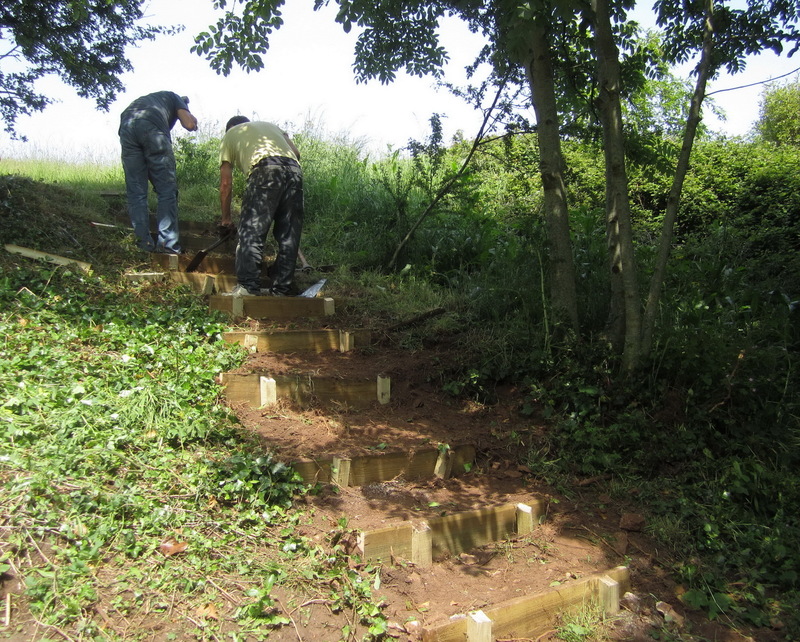 … and in 2013 we constructed a short flight of woodland steps at the south-east corner of Church Hill to provide easy access to the hilltop from a newly restored path (photo below).